I’ve become a Kiehl’s addict, totally addicted from skin to body care. It’s dangerous. 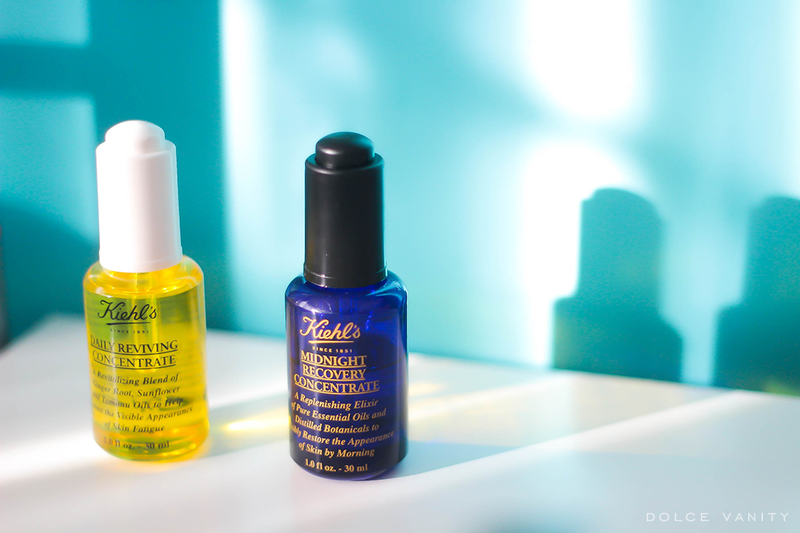 I’ve got my daytime and night-time routine with Kiehl’s heavily in rotation. I’m going to review the products that I love & even the ones that were a total miss for me! When I decided to try out the brightening range from Kiehl's, I knew I had to go for the treatment water with the Licorice Root, Activated C (a Vitamin C derivative), White Birch derivative and Peony Extract, it had to be a winner. It definitely is. You shake this to get an iridescent appearance (which gives a nice glow to the face) to the water and apply it to a cotton pad or your hands, I prefer the pad, especially once I've taken off my make-up. The water has a fluid/jelly consistency it's weird to describe. It takes away the oil but doesn't dry out the skin, it still feels soft as some 'toners' can strip the oils away. This was a big chance, was it going to be too much for my face. This has 12.5% Vitamin C and Hyaluronic Acid, the concentrate is 10.5% L-Ascorbic Acid and 2% Ascorbyl Glucoside. It’s anti-ageing to attack lines and wrinkles while helping the skins texture. Now I do love me some L-Ascorbic Acid, really helps to brighten the skin. I’m all for the glow getting. It’ll also improve the skin texture and minimize pores. The sister to the Midnight Recovery Concentrate, it helps to fight against daily aggressors so skin looks youthful and radiant, antioxidant protection. It’s a very light oil that for me I can put this on, let it sink in and get on with my make-up which just glides on and doesn’t slide off because I’ve had an oil underneath. This Ginger root, sunflower and Tamanu blend smells fresh & light while leaving the skin glowing, sister. This was the first product I used from Kiehl’s, no doubt a cult product for the brand & why not, it’s a product that in a few drops, nightly works as you get that beauty sleep. With Lavender essential oil, primrose oil and my baby Squalane, you wake up with younger, fresher, radiant skin & what did you have to do? Go to sleep. My skin is super smooth when I wake up, it doesn’t look lacklustre, it seriously gives it a boost. The lavender essential oil, helps you to relax and have a more peaceful sleep. I only use a few drops and massage it in, my face instantly is radiant from the oils but not in a greasy way. I’ve got to check out the rest of the Midnight Recovery range ASAP! This is my miss product, it wasn’t what I expected but I gambled and I took a loss. This is an under-eye treatment to improve the appearance of dark circles with activated C and licorice root extract. Personally, in the past I’ve had good experiences with licorice root extract. This isn’t like any other ‘eye cream’ I’ve tried before, the cream has a tint to it, that on my skin makes me look like ashy Larry, so it’s a no-go but I’ve been using it a couple months because, best believe a little goes a long way it still didn’t improve the dark circles that I possess, oh well. Dope AF! So much so within the past month I’ve nearly finished this big bottle already. Now this is for the treatment of dry, flaky skin and that’s something I don’t have but to me, do you know what that means, this ‘ish is going to be very moisturising and that’s what I love. It’s very moisturising but it’s not greasy which makes it easier for me when I need to put clothes on straight away. It contains shea butter, avocado oil and Squalane (a fav oil of mine this year)! I can see why this cream is hard to get a hold of, cos it’s that damn good. 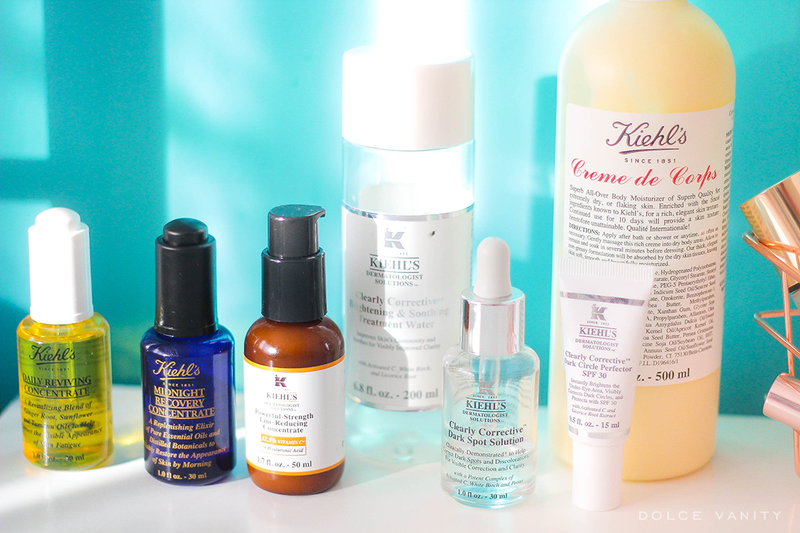 Have you used anything from Kiehl's? I've heard such good things about the Midnight Recovery Concentrate, I really need to try it! Best purchase, 100% LOVE IT! I can definitely see the hype surrounding it.